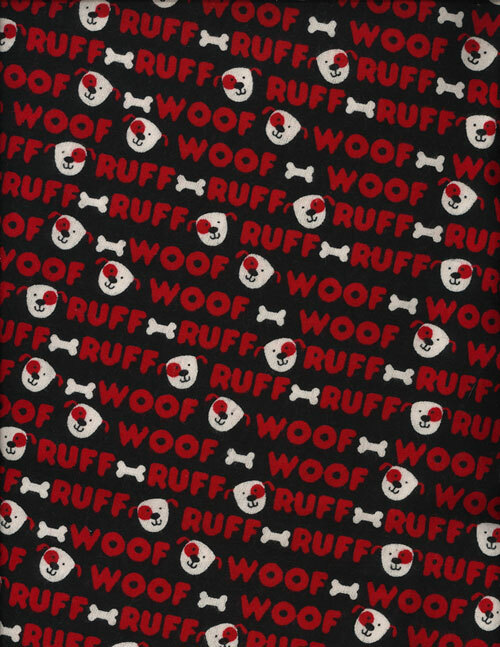 WOOF RUFF cotton flannel print: airbed set OR slipcover only. Gertie Gear pet air beds are great for dogs and cats of all ages, weights and breeds, but are especially beneficial for senior pets and those with arthritis, hip/back pain, incontinence, slobberers and other health concerns. • Flat/deflated — 30” outer dia. • Flat/deflated — 36” outer dia. • Flat/deflated — 46” outer dia. $1 FOR ARNO : $1.00 from the sale of this item (airbed set) will be donate to Animal Rescue New Orleans in support of this all-volunteer, non-profit organization's continued efforts to help area animals and pet owners still in crisis years after Katrina. 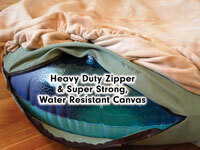 Each Gertie Gear™ AIRBED SET is comprised of (1) inflatable insert, (1) durable, protective canvas inner cover (one style only) and (1) slipcover of choice. 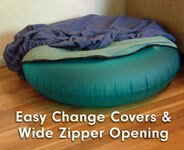 Replacement SLIPCOVERS ONLY, also sold separately.